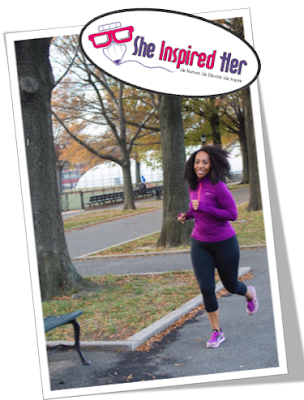 SHE INSPIRED HER: Curvy Chick Fitness Guide to Running. Your Heart Will Thank You Later. by Celebrity Fitness Instructor "Charity Lynette"
An established on-line platform for Women in Business & The Arts and Female Entrepreneurs across the globe! Curvy Chick Fitness Guide to Running. Your Heart Will Thank You Later. by Celebrity Fitness Instructor "Charity Lynette"
Hello Everyone, a healthy heart is a very important factor in living a long life. Understanding how movement can change your life and reduce the risk of heart disease and high blood pressure, is an integral part of daily life. I really wanted to put together a guide to help everyone with beginning your running or walking experience. It is important to know even if you are not actually running, the same concepts will apply if you are power walking. So I will always be referring to both and point out the difference if needed. You still need proper footwear, apparel, etc. I really want to share with you some things that will help you get started with your journey. If you are new to working out and running you may need to speak to a physician because, as much as you want to do certain exercises you may not be able to. You need to make sure you are cleared to participate in certain workouts. Especially, if you are over 40 and not used to working out or more than 20 lbs over weight. Every great workout and new routine begins with the proper shoes. 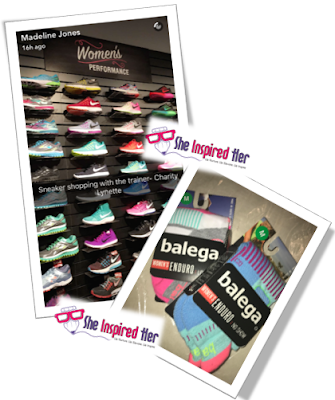 If you are not sure if the shoe you are in is good for you, then try your best to get to the closest Running Store. Even if you think you have the proper shoe it never hurts to make sure! Jack Rabbit is a great place to go because they do a gait analysis (watching you run) and record it so that you can see exactly what is going on with your feet. From that footage they can recommend the best shoe for you. Jack Rabbit is a great resource in general because majority of the staff are runners and get taught the technical breakdown of most shoes as well as running nutrition, apparel, and recovery options. Just remember don’t let someone recommend a shoe to you without watching and recording you running or walking. You might think that you can just wear whatever while you run/workout but the truth is dri-fit is best. When cotton gets wet it stays wet and while you are running you don’t need clothing weighing you down. Same thing goes for socks, cotton socks can give you blisters while running you want synthetic socks that wick dry so your feet stay dry. Running socks also don’t lose their shape so they won’t slide down into your shoe the way cotton socks do when they get over stretched. I honestly thought some of running stuff was a bunch of hoopla until I tried it out myself. I literally cannot run in anything other than dri-fit clothing. Don’t believe me? do a test run in different material and see how it feels. Also be aware of temperature especially when working out in the winter. Keeping a running journal is helpful in the beginning. Keeping track of temperature and what you were wearing especially in the winter will come in handy when trying to figure out how many layers you need for what temperature. Now that you are correctly fitted lets talk about actually running. Scheduling runs is going to be key to holding your self accountable. Now if you want to start running to add something different to your workout routine then how long you run won't be as important. If you are not thinking about entering races then just run when you can but if you are going to enter a race of 10k which is 6.2 miles then you may want to think about a more strict running schedule. My piece of advice for scheduling runs is to try and carve out 3 days of 30 minutes to dedicate to running whether it is morning or evenings. I can testify to preferring morning runs. I personally can't run with too much food in my system so in the morning I have much better results and no cramping. Try to be a little more realistic when starting any new exercise regime. Going from no days a week to 5 days a week is most likely not going to happen. Take your time and ease into it. As you progress in your running/walking cross training is going to be something that is essential to running. Cycling, weights, and even yoga are great components that you can add to the routine. Recovery is extremely important and you need to have adequate rest days. Foam rolling, stretching, and off days need to be incorporated in the routine as well. I have added the Couch to 5k training schedule this is the one I felt the most helpful when I started running. Couch to 5K is a program that help you go from an actual couch to a training schedule that will get you ready to run your first 5k which is 3.1 miles. Another helpful tip is to use your current ability as markers when to walk and jog. For example if you can only run/jog for 45 seconds at a time use that as a marker. So jog for 45 seconds and walk for 45 seconds or longer if you need to, but the key is to alternate from jogging and walking at your level for a period of time. This is also called interval training. When you can jog longer do so. If you are interval training a few days a week for 30 minutes those 45 seconds will lead to a minute, a minute and a half, and so on. Running is about your own progression no one elses. If you are a walker you want to alternate between power walking and a slower walking pace. Soon that power walking will turn into a jog, I promise you just have to keep at it. A few key things to remember before you begin, first knowing why you are starting this is something you can reflect back on when you are feeling discouraged. Second, you are your own competition just try to focus on getting better and beating your own time. Third, find a way to keep yourself accountable whether it’s using an app or finding a workout partner. Try considering running/walking as an outlet and something your body needs and wants no matter how sore you may get vs a chore that you hate. Most importantly have fun and listen to your body. There is a difference from being sore and an injury. When knees and ankles are in long term pain or swollen that is something that should be checked out by a physician. How to: Start a Food Blog in 4 Easy Steps! Message Editor-in-Chief, Crystal 'King' Emmanuel on Linked-in today! Visit Corset My Waist Today! SELL YOUR PROFESSIONAL SERVICES ONLINE NOW! JOIN SOOQINI AND GET STARTED TODAY!